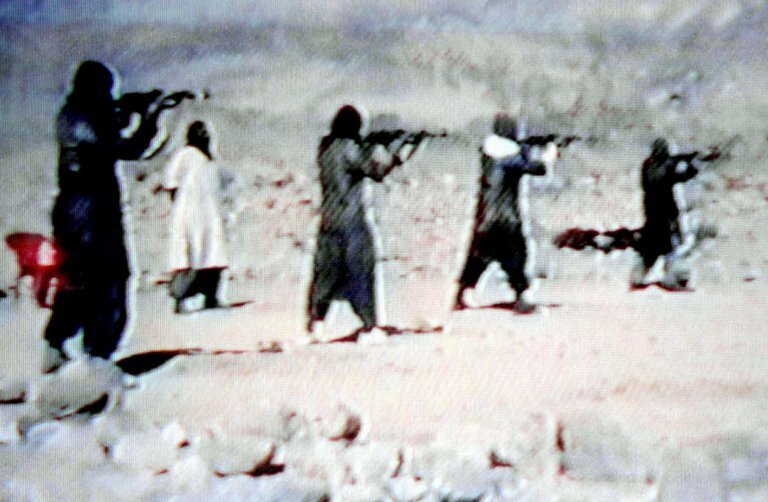 WASHINGTON — A Saudi immigrant who attended Al Qaeda’s most notorious training camp was arrested on a charge of lying to the F.B.I. and on two counts of visa fraud in Oklahoma, where he had been living for years with his family, federal law enforcement officials announced Tuesday. The F.B.I. discovered the man, Naif Abdulaziz M. Alfallaj, only recently, when the authorities matched his 15 fingerprints to those taken from a document captured in Afghanistan, the officials said. The document was a five-page application for the Farooq camp, where four of the Sept. 11 hijackers trained. He apparently filled out the application in September 2000, when he was a teenager, the officials said, well after Al Qaeda had made its intentions of attacking the United States and its allies known to the world. 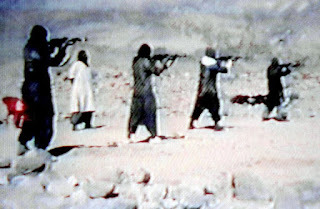 Anyone who tried to join the camp would have known that Al Qaeda was a terrorist organization, law enforcement officials said. The United States military recovered the document at a Qaeda safe house in Afghanistan in December 2001, prosecutors said, who added that the document had an emergency contact for Mr. Alfallaj’s father in Saudi Arabia. Typically people who applied to the camp filled out what was known as a “mujahedeen data form.” They needed an invitation to join the camp and a reference from someone known and trusted by Al Qaeda. Trainees learned how to use weapons and explosives at the camp. After training, camp attendees fought with Al Qaeda or the Taliban in Afghanistan. Osama bin Laden and his top deputies frequently visited the camp. Mr. Alfallaj, 34, used a fraudulent visa to take private flying lessons in October 2016 in Oklahoma, according to federal court records. Noncitizens are required to submit fingerprints as part of the licensing process. The Federal Aviation Administration revoked his license last year after the F.B.I. made the discovery. Mr. Alfallaj was arrested Monday and made an initial appearance in federal court in Oklahoma City. A message left with a public defender assigned to represent Mr. Alfallaj was not immediately returned. Mr. Alfallaj, who is from Riyadh, came to the United States in late 2011 on a nonimmigrant visa based on his wife’s status as a foreign student. He had been living in Weatherford, Okla., about 70 miles west of Oklahoma City, the authorities said. Prosecutors say that he falsely answered questions on his visa application, including about whether he had supported terrorists. The F.B.I. said he lied about whether he had contacts with anyone from a terrorist group when agents interviewed him in December. The next month, Mr. Alfallaj confirmed that the telephone number found on the application belonged to his father, the F.B.I. said. The F.B.I. had been watching him for several months and had been trying determine whether Mr. Alfallaj was involved in terrorist activity in the United States. Mr. Alfallaj and his family did not interact with neighbors and stayed mostly to themselves. Mr. Alfallaj’s apartment complex was not far from Southwestern Oklahoma State University. A student there said that many Saudis attended the school and that they often mingled and had cookouts, but that Mr. Alfallaj did not attend these gatherings….